Nxai Pan entrance gate – the first gate by the tar road, not be be confused with the second gate, 33 km in, down deep sand tracks. 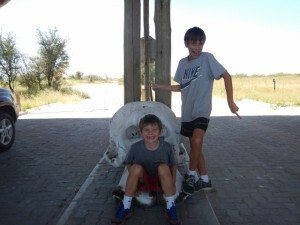 That’s an elephant skull serving as an offspring seat. 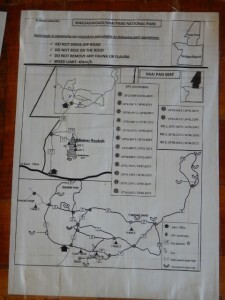 Nxai Pan “road” map photographed on the counter at the park gate. They don’t give out copies but they let me take a picture. 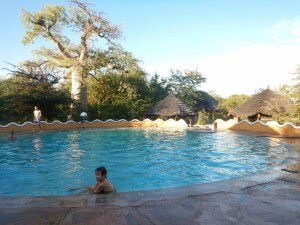 Pool at Planet Baobab. Note the gorgeous baobab tree in the upper left of the photo. 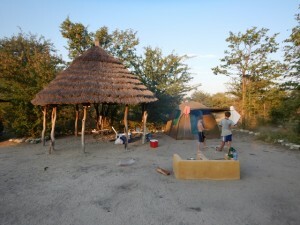 Our Planet Baobab campsite. 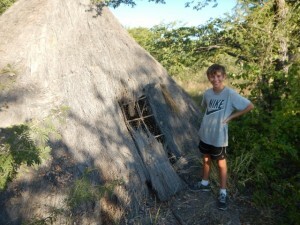 Not nearly as “wild” as Nxai Pan but fun nonetheless. 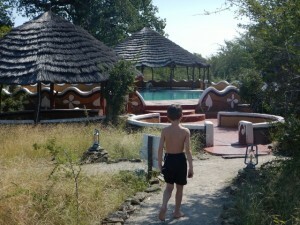 Planet Baobab, an oasis in the bush. 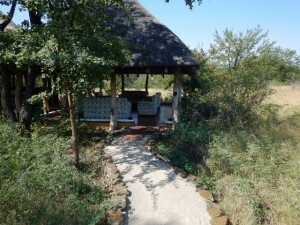 The path to the pool at Planet Baobab. 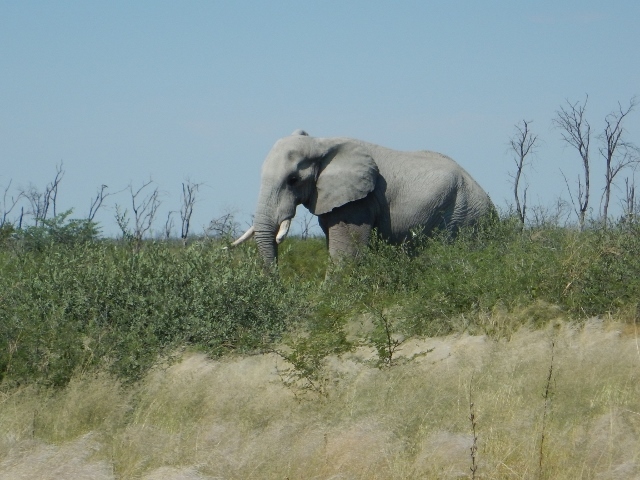 Since coming to Botswana, my children have given up wearing shoes, despite the ready availability of large thorns and sharp rocks that regularly lodge themselves in tender feet.